Soon the new add-on will expand the universe of the latest game in the Batman series. Batman: Arkham Origins DLC will feature new villain and the fantastic suit for our protagonist. Moreover, the add-on will send a flow of freezing air to the unsuspecting citizens of Gotham. Yesterday the upcoming Batman: Arkham Origins DLC got short trailer, which shows a glimpse of the villain, featured in the add-on. His name is Mr. Freeze, and so the new DLC has a very chilling title - Cold, Cold Heart. Mr. Freeze is a popular fictional character in the Batman universe, who has many types of weapon and equipment, and so is able to turn the whole city in a piece of ice. According to the first trailer, the events of the new Batman: Arkham Origins DLC take place on New Year's Eve during the award ceremony. Mr. Freeze is going to occupy Gotham if you, as Batman, won't be able to save the innocent citizens. To have an advantage in this battle, our hero will need a special suit that is able to resist the cold weather. 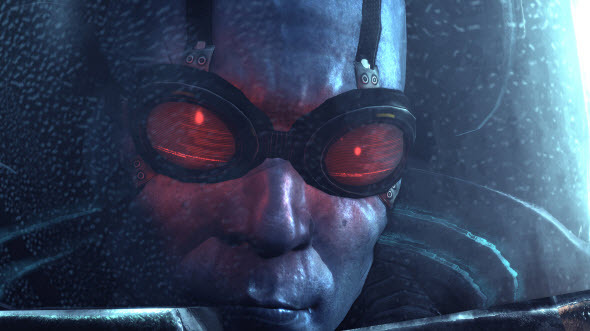 Batman: Arkham Origins DLC, entitled Cold, Cold Heart, is coming to PC, Xbox 360 and PS3 on the 22nd of April. Are you going to download this add-on? Let us know in the comments below.